When we lift every voice and sing, discord and stubbornness fall by the wayside. Singing together may not change the world, but it might change you and your neighbors. Many things amaze me about the basic task of doing church today. One of these surprises has been how much people still enjoy singing hymns. Singing hymns is a humanizing experience. And of course this is true for many different singing traditions that take place on days other than Sunday. Singing is for groups what taking a walk is for individuals. I walk regularly because it makes my muscles move, gets me out of my head, loosens up my back, and helps me to breathe the air. By the time I get back to my door this simple exercise usually helps me remember who I am and what I am doing that day. Singing works the same way for groups of people. 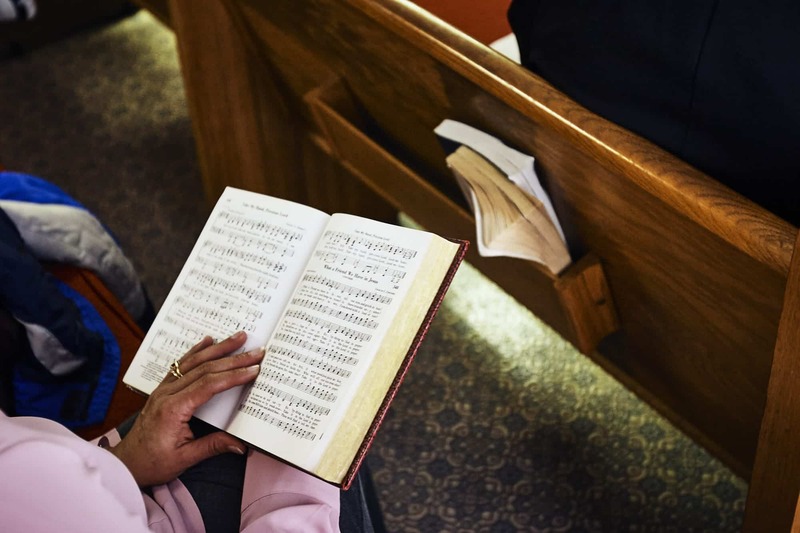 I have learned to listen to folks at the church when they say, “You know we haven’t had a hymn sing in a while.” Usually this means that we have been too overly busy with a service project or too caught up in thinking and debating about some issue. Sometimes we just need to stand up, make our muscles move, get out of our heads, breathe the air, and sing. This past October I noticed how much people enjoyed singing, “Take Me Out to the Ballgame,” during the World Series, especially when the game was in Chicago, where they have so much fun with it. I’ve never been to Wrigley field but I bet that it is a great experience to be a part of that group rite of singing together at the seventh inning stretch. Compare that with what a tiresome experience the National Anthem has become because it is so laden with the very group polarization and division that is dehumanizing our civic life. And no, I am not taking a side about whether you stand with your hand over your heart and belt it out or whether you kneel and keep silent. I am just noting that singing the National Anthem together is not the unifying, cohesive group building experience that it used to be. And it is because we are so culturally, politically, and geographically polarized. I have seen folks from very different backgrounds and experiences bond together through singing. George and Maggie were the musicians and choir directors at a church that I served. They had donated their service to the church for decades before I arrived on the scene. But they were also the volunteer music directors at the local community theater. The original band of actors and singers at Northwood’s Theater refurbished an old barn where they still do a few musicals and a Christmas special each year. George and Maggie were life long, committed Republicans. Yet the chair of the county Democratic party sang in George and Maggie’s community theater choir for years. Singing alongside each other were fire-breathing Baptists, yawn-inducing Presbyterians, wide-eyed environmentalists, and Second Amendment-quoting NRA’ers. Now, it was never the peaceable kingdom where the lion laid down with the lamb. But folks sang and harmonized with each other, dressed up in ridiculous costumes, watched each other’s kids grow up, and heard doctor’s diagnoses for decades. They all knew that it was special and so they just kept coming back. For whatever reason, secularization isn’t easing political conflict. It’s making American politics even more convulsive and zero-sum. For years, political commentators dreamed that the culture war over religious morality that began in the 1960’s and 70’s would fade. It has. And the more secular, more ferociously national and racial culture war that has followed is worse. Like Beinart I lament the fragmentation and contentiousness of our present American moment. Yet I doubt that it is due primarily to people opting out of faith communities. Religion is but one strand in a whole fabric of interrelated cohesion that is pulling apart. It dawned on me not long ago that people don’t gather to sing together much anymore. And it might help if we did. People do go to hear other people sing quite a lot these days. But it might help us all to move our muscles, get out of our heads, breathe the air, and sing together so that we might feel human again. You can do it at church, community theaters, school choirs, nursing home singalongs, and Memorial Day gatherings only to name a few. And it’s not just singing of course – there is square dancing at the Grange Hall and painting at the town’s art center. I don’t know that any of this would change the adversarial images that I see on the news in the evening. But it does make a difference in the lives of people and communities that I know. Steve Willis is a Presbyterian (USA) minister who has pastored small town and country churches and currently serves the Collierstown Presbyterian Church in the Shenandoah Valley. His writing about the resilience of rural churches and communities includes the book, Imagining the Small Church, Celebrating a Simpler Path (Rowman and Littlefield, 2012). He is a graduate of the University of North Carolina-Chapel Hill and lives with his family in Bedford, Virginia, where from his front door he can be hiking the Appalachian Trail in fifteen minutes.